This Watermelon Punch recipe makes the perfect summertime cocktail! With fresh pureed watermelon, lemon-lime soda, watermelon flavored rum, and vodka, it’s a refreshing grown-up beverage we make for cookouts all summer long. Today is the last day of school before summer vacation! Honestly, I don’t know whether to be excited or scared. Excited because in a few weeks we are going on vacation to the beach in Wildwood, NJ again (I LOVE it there! ), I love the warm weather (even better if it’s HOT! ), and I love summertime get togethers. Scared because my now official 2nd grader will be home all day and we have been dealing with some rough patches with her behavior at home, I’m going to be babysitting all summer, and also summer every year since I started blogging has meant it’s really, really hard for me to get any work done. So, if I go MIA quite often this summer, I apologize in advance. I’ll try to cook up some delicious recipes to share, I’m just afraid some of them will have to wait. To be honest, the hard time getting work done started a month or more ago for me. 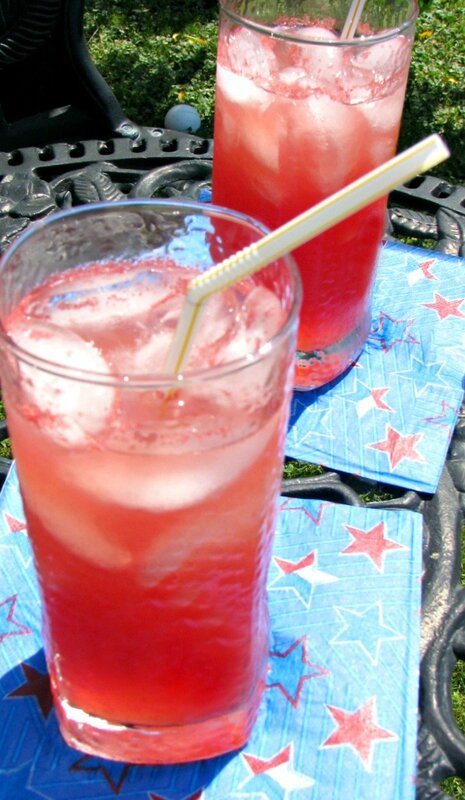 For a great example, this watermelon punch recipe was developed years ago by my husband (I don’t have any idea where he got the idea for it from), and he took these photos as I was getting everything else ready for our Memorial Day/my birthday cookout. He makes this while I make other things, like Broccoli Cheddar Pasta Salad or Beer Marinated Grilled Porterhouse Steak. I’ve never made the steak for a cookout, but it would be great if you were hosting another couple. 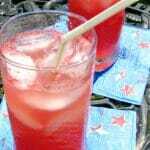 This Watermelon Punch recipe is the basic recipe. It will need to be adjusted depending on the size of your watermelon. 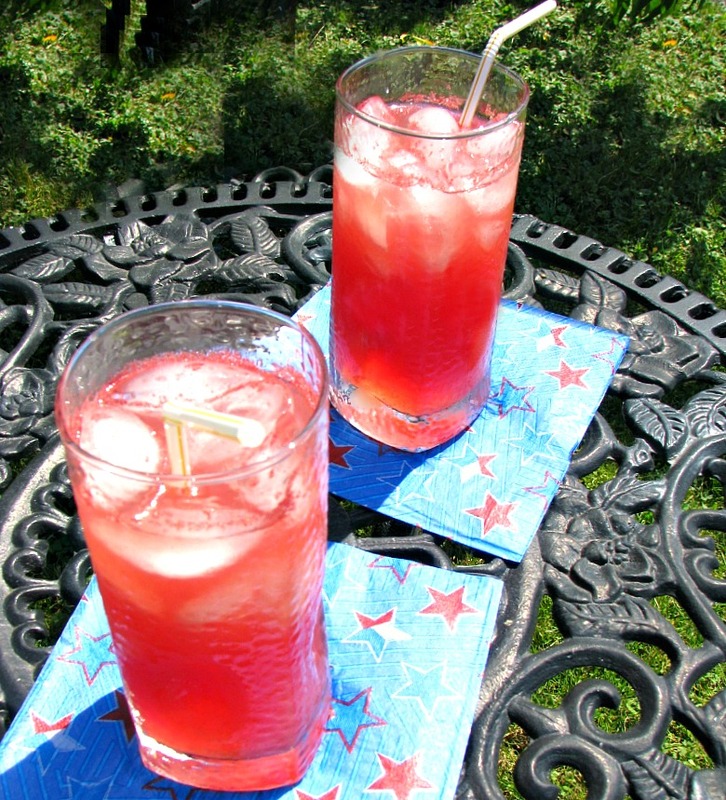 This Watermelon Punch recipe makes the perfect summertime cocktail! With fresh pureed watermelon, lemon-lime soda, watermelon flavored rum, and vodka, it's a refreshing grown-up beverage we make for cookouts all summer long. Cut up the watermelon and puree in a blender, working in batches. Strain through a mesh sieve to remove seeds and larger bits of pulp. Adjust amounts below based on amount of watermelon puree. For 1 1/2 liters of watermelon puree add 1 1/2 liters lemon-lime soda, 2 1/4 cups rum (or a little over 1 cup rum and a little over 1 cup vodka), 3/4 cup lemon juice, 1/4 cup lime juice, and 1/2 cup super fine sugar. Serve cold, and stir before serving. 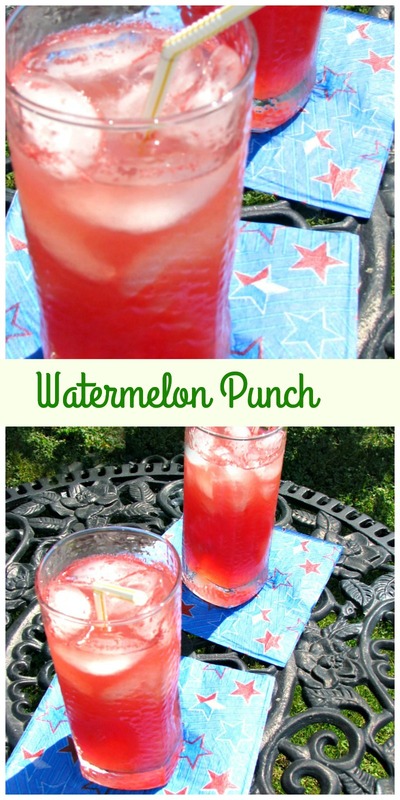 This punch is absolutely perfect for summertime bbqs or just chillin!!!! Be careful… it sneaks up on you because it is so easy to drink alot!!! But you said you didn’t really get drunk! I’m so glad you liked it Shelly, now that summer vacation started we will have to get together more often!